Following the decision to adopt parking rate changes along Rehoboth Avenue, the city of Rehoboth Beach is considering additional changes that could improve traffic congestion, and handicap accessibility near the Boardwalk. 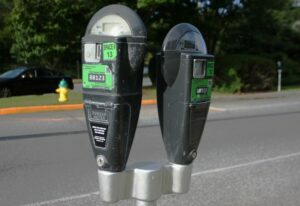 Recently, city officials approved measures that would increase hourly parking rates from $2 to $3 dollars beginning with the 2019 summer season. Those increases are for parts of Rehoboth, Baltimore and Wilmington Avenues near the Boardwalk. Additionally, metered parking will now end at 10 p.m. rather than midnight. The additional proposed changes would include more long term parking solutions. Rehoboth Beach’s parking committee is considering the construction of a parking garage in the downtown area, as well as adding an online parking permit sales website. Additionally, the committee is reviewing plans that would mean more disabled parking near the Boardwalk. The city commissioners will discuss the proposed parking garage next week.